We stopped watching channel 11 morn news when you left. It just isn’t the same. Everyone in our business misses your throaty laugh. Love seeing all the pics Dot,. You are just gorgeous inside and out. 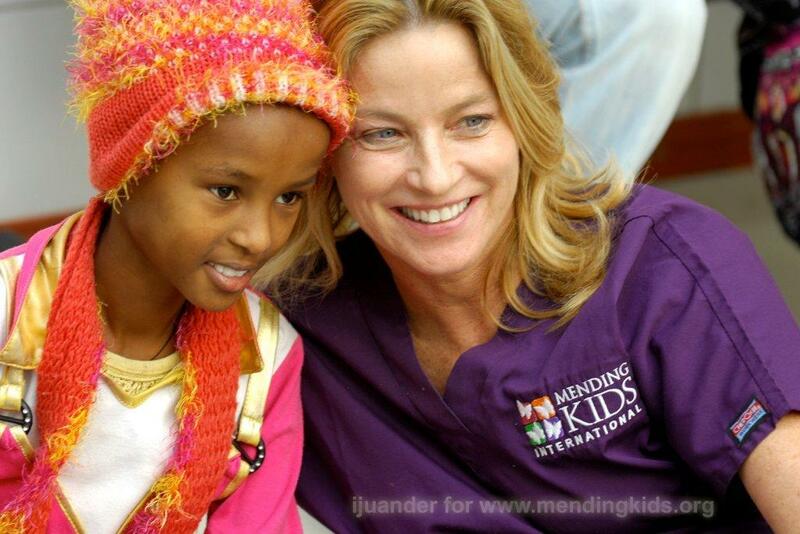 Mending Kids is such a wonderful organization and you are certainly making a difference. Thank you. at dinners, but gives of her time, heart and spirit. we’re blessed to know her! HAVEN’T WATCHED GDLA ONCE(NOPE, NOT ONCE) SINCE YOU LEFT…WHY BOTHER? YOU USED TO WEAR THESE TOPS THAT HAD CUT-OUTS ACROSS YOUR CHEST OR LEFT BOTH SHOULDERS OPEN, REMEMBER? WELL, WHENEVER YOU’D WEAR ONE OF THESE TOPS, I’D BE LATE FOR WORK. NO REASON I CAN THINK OF TO LEAVE A PERFECTLY GOOD TV SCREEN WHILE YOU’RE STILL ON IT. ANYWAY, TOTALLY MISS YOU AND YOUR PRETTY FACE, YOUR RASPY VOICE, YOUR LEGS(YEEAAH) AND THE CLASS YOU BROUGHT TO MY MORNINGS FOR ALL THOSE YEARS. Miss the fun we have six foster boys your smile gave us a lift many a morn! !